Smiling for the camera? Nah, “Ma” is resting and munching some hay. On Saturday we visited the Lake Metroparks’ Farmpark in Kirtland, Ohio. 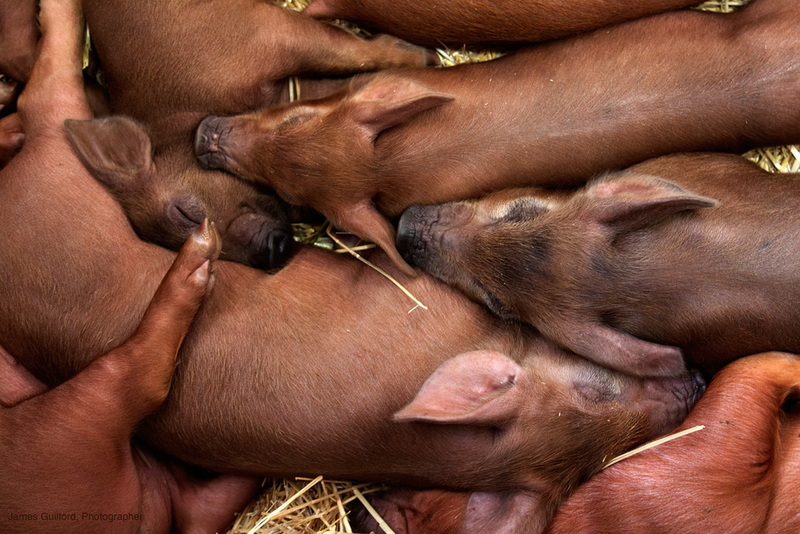 This rather unique park is dedicated to giving visitors a taste of farm life not far from their city and suburban homes. 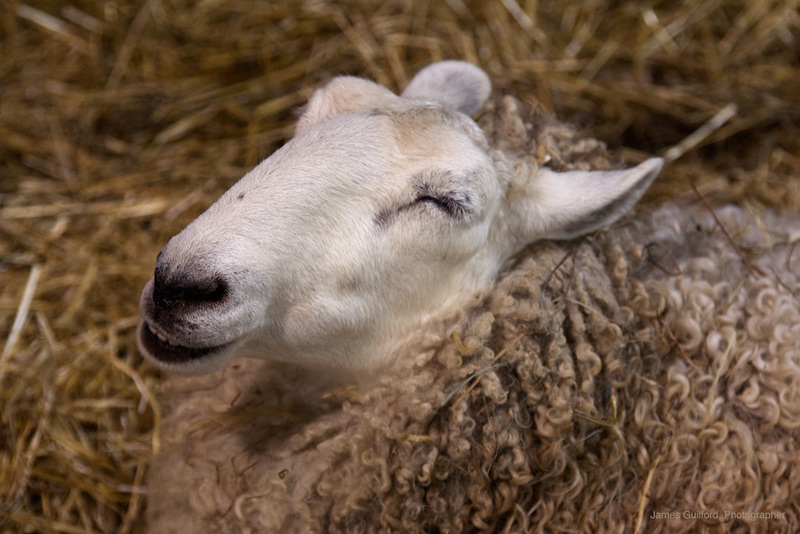 The farm has sheep, milk cows, horses, and other typical farm animals. They demonstrate the care and feeding of those animals and maintain a milk production facility. This weekend the park hosted their annual Maple Sugaring event. Typically, visitors can see how maple sap is collected (the traditional buckets and a newer hose-fed system), and boiled down into syrup and sugar. Maple products made at Farmpark are available for purchase. It also happens to be nearly spring. 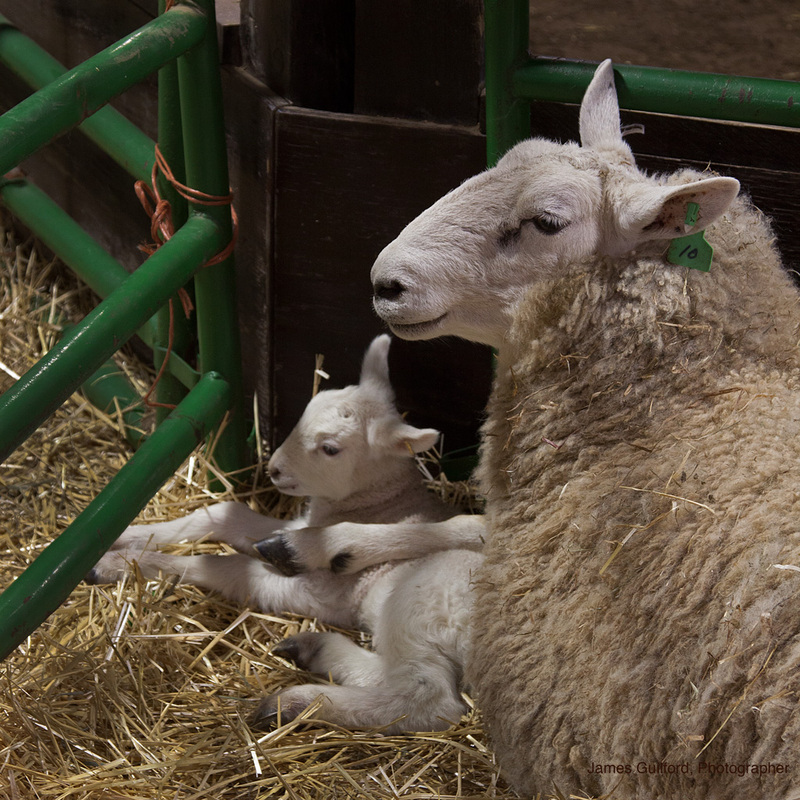 A family favorite was the barn where young livestock were housed with their mothers: kids and lambs only days old, and young piglets. We spent a good long time in that barn and, after shooting many photographs and succumbing to cuteness overload, left pleased to have seen the kids (human and goat) interacting with such joy. Chair Factory Falls on a beautiful autumn day. 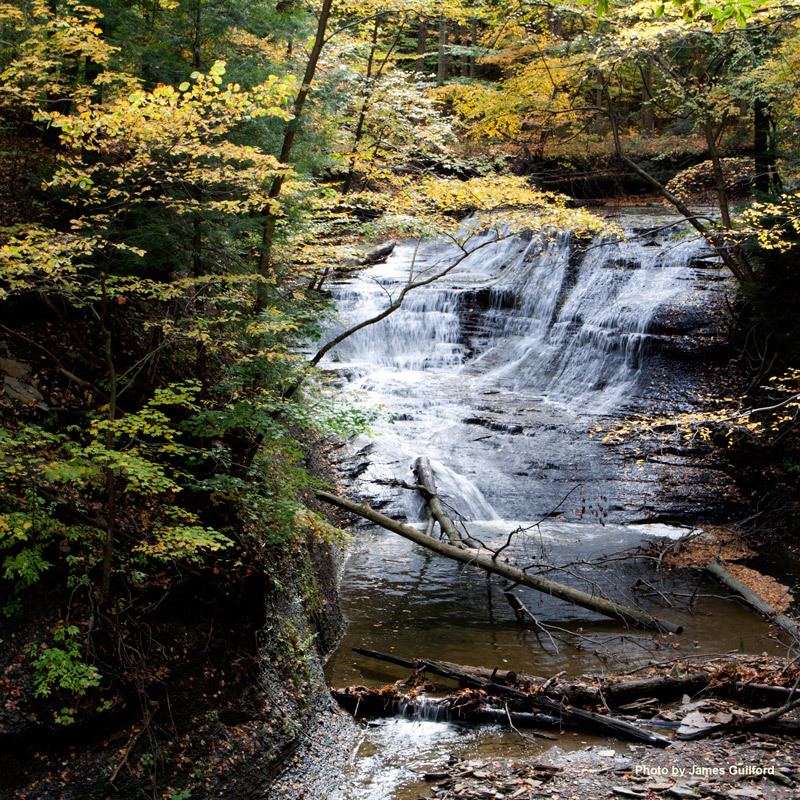 We saw a news item about the Thursday dedication of a new area within the Lake Metroparks: Chair Factory Falls. Today was a beautiful day for a trip there so, after quick shopping for the week’s groceries, we headed out. The Falls turned out to be probably the most beautiful natural water feature I’ve seen in the Northeastern Ohio area and were a short walk from a convenient parking lot. We encountered a couple of people who warned us that the hike back out of the gorge was tough but worth the effort. They underestimated our vigor for while the path out was steep, it was an easy climb for the two of us and more than worth the effort. Of course the cameras came with us and we shot many photos but I’ll show only two here. The parking lot was adjacent to the Metroparks’ Old Stone School landmark. Stone walls, fallen leaves, and an antique water pump made for a rustic scene. 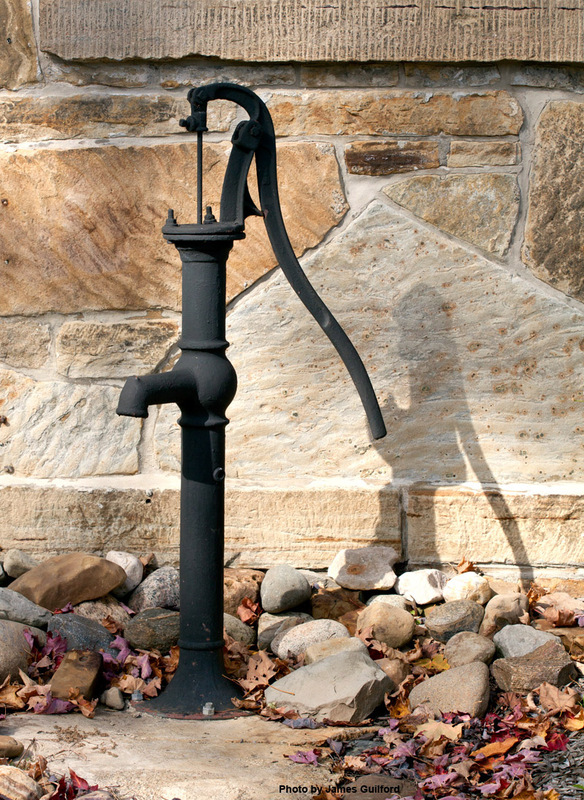 A hand-operated water pump stands at the south wall of the Old Stone School, a property of the Lake Metroparks.